FADE IN on a MOTHER and a LITTLE GIRL. They sit in a rocking chair reading a book. It’s early morning. Both wear sleep garb. The mother is red-eyed and unkempt; the daughter, perky. “But you held my hand tight when we walked in the store. She starts to turn the page. The little girl stops her and points to the picture. Grocery shopping. With his kid. Who’s a dinosaur. Why is the kid a dinosaur? I don’t know. No, why is the man grocery shopping? Oh. I don’t know. He needs food for the house, I guess. But Daddy doesn’t grocery shop. He does, honey. I just do it more. Well, because Daddy’s at work a lot. I’m home. So I help out by doing the shopping. But lots of men grocery shop. All the time. Tons. Also? Mommy’s really good at grocery shopping. Better than Daddy. Shall we turn the page? But you’re not really good at cooking. The mother’s eyes widen. She laughs. Wow. You don’t mince words. You’re not wrong. Daddy’s the better cook. I do try, though. Do you know that I try? 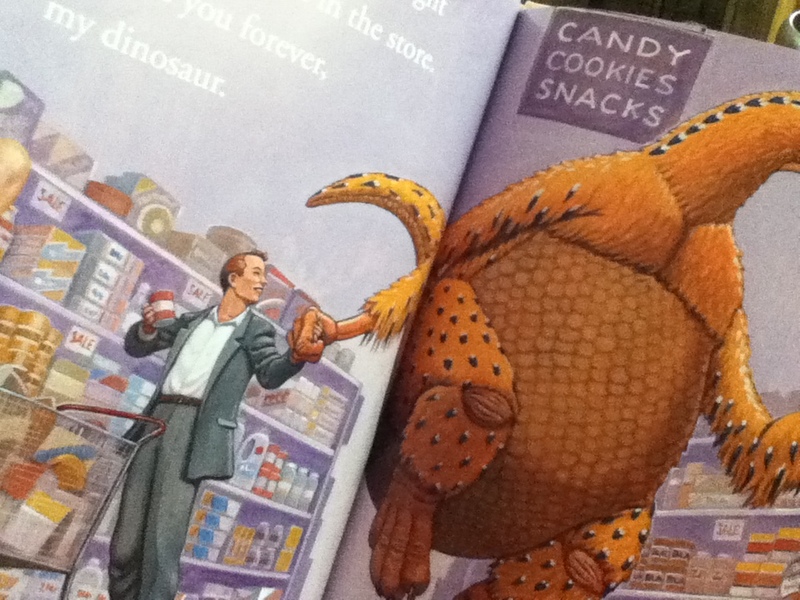 This entry was posted in Books, childcare, cooking and tagged how do dinosaurs say I love you, moms who can't cook, slice of life on September 24, 2012 by thumbstumbler.